Shawn Stout–What Was on Her . . .
Today on What Was on Her . . . The always witty, always amusing Shawn Stout! 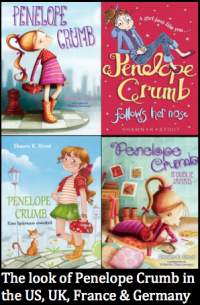 Shawn is not only the author of the Not-So-Ordinary Girl books, but also the Penelope Crumb series! Penelope, who has long been likened to Ramona and Clementine, is a favourite with young readers across the United States and Europe. The fans are cheering! Because the fourth in the series–Penelope Crumb is Mad at the Moon–is coming out later this year. And, there is more fantastic news about Penelope. The Irish Independent recently published its list of Top 50 Books for Children–and we are talking about top 50 ever! Listed as No. 6, on the same column with Where the Wild Things Are, Alice’s Adventures in Wonderland, The Secret Garden, and Little Women, is none other than Penelope Crumb Follows Her Nose (the UK edition of the first Penelope)!!! So, what has Shawn Stout been up to, other than celebrating? Keep reading to find Shawn’s own words and What Was on Her . . . Lap: Lint. Also, my nearly 3-year-old. She found me (not that I was hiding from her or anything) while I was trying to capture a few minutes for myself before getting back to pretending I’m Muck from Bob the Builder. My girl loves construction. Desk: Laptop, four spiral notebooks (mostly empty), preschool summer camp enrolment application, mason jars filled with colored pencils and highlighters, Jane Austen action figure (missing an arm, which she lost in a quill fight with Charlotte Bronte), Charlotte Bronte action figure (missing head), dead iPad, copy of Story by Robert McKee, address book, and list of things to do to promote my next book, Penelope Crumb Is Mad at the Moon, which comes out in September. List of Tricks to Stay Sane: Are there tricks? Can somebody let me in on them? I’m pushing the boundaries here . . .
Stovetop: Beautiful mustard-colored Dutch oven, which helps give the illusion that I can cook, and a saucepan with dried oatmeal stuck to the bottom, which clearly says otherwise. 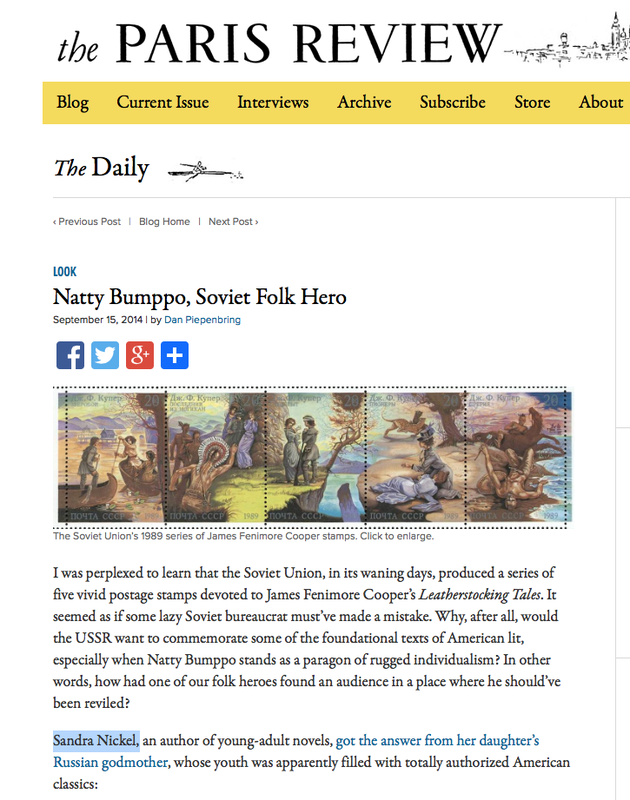 NPR: Morning Edition. It sometimes takes me 2+ hours to drive to work each day, and Morning Edition helps me fight the urge to curse at fellow commuters who lack driving etiquette. And if I can leave work early, I can catch Fresh Air. Living Room Floor: A plastic tambourine, tricycle, whatever dirt someone tracked in from outside, bedroom slippers. Dream Guest List: Bill Murray, John Waters, Margaret Atwood, Tom Hardy, Frances McDormand, John Doe, Katherine Hepburn, David Sedaris. Kitchen Table: Stacks of CDs, bills about due, car keys, wooden tray filled with apples and clementines, grocery list, dried splotch of last night’s risotto, Sharpie. Mind: The novel that I’m working on now, A Tiny Piece of Sky, which is set in 1939. The story is centered around Frankie Baum, the youngest of three daughters, who in an attempt to prove she’s more than just a Number Three, sets out to clear her father’s name after he is accused of being a German spy. She does some spying of her own to find the truth, and what she discovers will surprise everyone. The book isn’t coming out until 2016, but I’ve got a lot of work to do, and it’s taken over the major parts of my brain. Also, whether to make chicken or pasta for dinner tonight. And, what I’m going to wear to my cousin’s wedding this weekend when all of my spring/summer dresses are still packed away. Oh, and what to do for my daughter’s birthday party, which is in a few weeks. And all the work for my day job, which I should be thinking about more often than I am. And how I could really go for a candy bar right about now. To keep up to date with Shawn Stout, follow her at shawnkstout.com, on Facebook at /ShawnKStoutBooks, and on Twitter at @shawnkstout. If you haven’t read the award-winning, Top 50 Penelope Crumb, don’t miss out. You can order it by clicking below. Be sure to stop by again on May 30 for my own What Was on My . 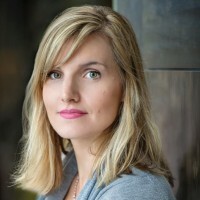 . . and on June 10 for the incredibly prolific, New York Times bestselling author, Michelle Knudsen. Tags: books, Fiona Finkelstein, Not So Ordinary Girl Books, Penelope Crumb, Sandra Nickel, Shawn Stout, The Writer's Life, What Was on Her, What Was on My, Writing. Bookmark the permalink. Previous post ← Amy Rose Capetta–What Was on Her . . .
Great interview! Congratulations on all your honors, Shawn! I’m especially looking forward to your historical novel A Tiny Piece Of Sky. And now I don’t feel so alone in having a messy house. I love anything historical. And with spies. Put them together and–well, all I can say is I can’t wait for 2016! Not only do I love Shawn’s novels, but we share a lot of “what-was’s”, 🙂 I love these interviews, too. Ah, the connection of us all. Thanks so much, Janet. So great, Sandra. Shawn sounds like a whirlwind of energy. This ‘what was on her desk’ comment cracked me up: “Jane Austen action figure (missing an arm, which she lost in a quill fight with Charlotte Bronte), Charlotte Bronte action figure (missing head),” I want some of these action figures (intact, if you please). I want the action figures too. And I’m intrigued because when I googled them, I discovered that there are also Jane Austen bandages. Who knew? That playlist is magnetic, isn’t it? 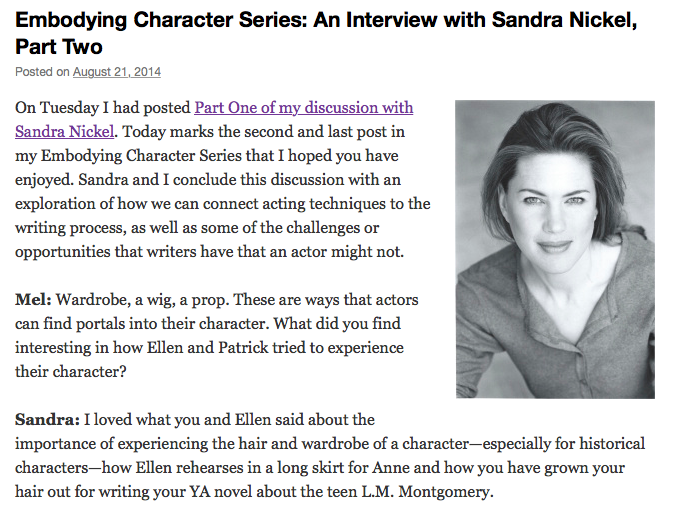 Great interview, Sandra. Just read Penelope Crumb Follows Her Nose. I love that girl! Can’t wait to read Shawn’s upcoming novel. Thanks so much, Susan! I love Penelope too. Such a great interview! Shawn’s dream guests would have a great conversation. And congrats to Shawn for making the list of best ever books. I would love to be at the dream guest table too. Can you imagine?